Life with roommates can be… interesting. Depending on who you room with, it can either be an absolute blast, or an absolute nightmare – hopefully not the latter. Personally, I’ve had pretty good luck when it comes to living with other people, often times complete strangers at first. Currently, I’m living with 5 other guys in a house – like I said, interesting. But thankfully, we all get along and abide by rules to keep it that way. Aside from having rules, technology can make co-habitation easier. Here are five ways you can use technology to improve your roommate experience. If you’ve ever had a bad roommate, you know how important this step is. But how do you find the right one? Tina actually wrote an excellent article on finding a great roommate How To Find a Great Roommate How To Find a Great Roommate Having a roommate is a great way to save money, not just on the rent, but also on other bills. Apart from helping your finances, sharing your home with a friendly and caring person has... Read More . One section of her article outlines where to search, using websites specifically designed for finding roommates, such as RoomSurf, as well as many others. But she also recommends using Craigslist. which I also recommend. However, you want to ensure that you construct your ads properly Get the Most Out of Craigslist and Stand Out While Doing It Get the Most Out of Craigslist and Stand Out While Doing It Craigslist has become the go-to site for anyone looking to buy, sell, hire, be hired, etc. However, at the same time, it has the reputation of attracting “sketchy” people. But this article isn’t just about... Read More to attract the kind of quality candidates you’re looking for. In addition to Craigslist and roommate-finding websites, another option would be to contact people you know – and what better way to do that than Facebook? Are you a member of a Facebook group consisting of people you know locally or through a certain organization? There are now college-specific groups for each college – you could look there. There’s also the status post visible to all your friends that could get the attention of someone you now who may be looking for a roommate, or perhaps know someone who is. When it comes to who paid what, it’s important to keep records. There’s rent, utilities, electric, as well as household items and any other shared things, such as food. The best way to keep track of all of this is with a ledger – it keeps all six of us sane in the house we live in, and even if it’s just you and one other person, it will be a huge help. 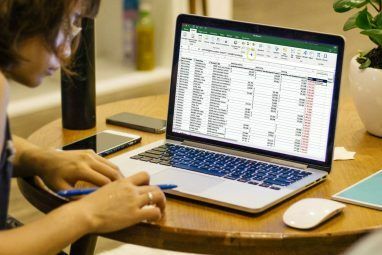 In addition to keeping a ledger, spreadsheets can also be used to manage community food so that you can keep track of what is available and don’t end up buying multiple things. Tracking chores is another possibility – when they were last done, who did them, etc. So what do you use? Collaboration is important, so Google Docs is likely your best choice. Most people have a Google account, and if not, they can still access the documents, plus it’s free and easy to use. Ryan shared his expertise in using Google Docs whether it’s for various amazing functions Perform Amazing Feats With These Useful Google Spreadsheet Functions Perform Amazing Feats With These Useful Google Spreadsheet Functions I am ashamed to admit that I've only recently decided to start experimenting with Google Spreadsheets, and what I've discovered is that whatever allure or power Excel had over me due to the amazing things... Read More or understanding the spreadsheet tools Become An Expert Data Analyst Overnight Using Google Spreadsheet Report Tools Become An Expert Data Analyst Overnight Using Google Spreadsheet Report Tools Did you know that one of the greatest tools of all to conduct data analysis is actually Google Spreadsheet? The reason for this isn’t only because it can do nearly everything you might want to... Read More . 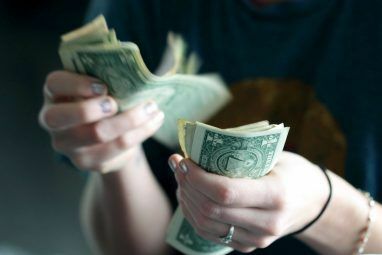 Whether you’re trying to split a dinner meal or pay rent, exchanging money can be another tricky thing. Personally, I don’t like using cash for the mere reason that it’s untraceable – if I don’t manually record it, I don’t know where it goes. 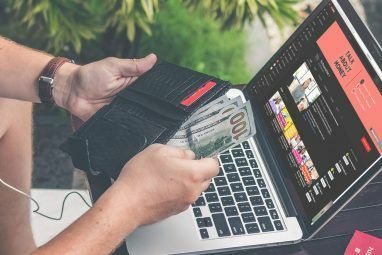 Whereas, with a debit card, I can look at my bank account online 6 Common Sense Reasons Why You Should Bank Online If You Aren't Already [Opinion] 6 Common Sense Reasons Why You Should Bank Online If You Aren't Already [Opinion] How do you usually do your banking? Do you drive to your bank? Do you wait in long lines, just to deposit one check? Do you receive monthly paper statements? Do you file away those... Read More and see how much I spent, what I spent it on and when I spent it. But you can’t use a debit card to transfer funds to the average person. Of cours,e you’ve likely heard of PayPal, but do you use it? It’s super easy to set up to pay someone How To Set Up a Paypal Account To Pay For Anything How To Set Up a Paypal Account To Pay For Anything I have to admit that Paypal has become my own vehicle of choice for conducting business online. It has become the most common vehicle that clients prefer for sending in payments for work. This makes... Read More or to receive payments How To Set Up A PayPal Account To Receive Money From Anyone How To Set Up A PayPal Account To Receive Money From Anyone For years now, PayPal has solidified itself as the payment system of choice for anyone doing business on the Internet. When people first started doing business over the Internet, you would have thought that some... Read More . Another option would be to transfer money directly to someone’s bank account using only their routing number. And of course, there are many PayPal alternatives Why You Don’t Have To Use PayPal For Online Transactions: 5 PayPal Alternatives Why You Don’t Have To Use PayPal For Online Transactions: 5 PayPal Alternatives Online shopping and online purchases have grown into something so important in many of our lives that it’s strange, at least for me, to think of a world where it doesn’t exist. PayPal is one... Read More too, such as WePay WePay - A New PayPal Alternative To Try Out WePay - A New PayPal Alternative To Try Out These days, the idea of transferring money via the Internet is not only accepted, it's often essential. There are many freelancers who nowadays rely on Internet payments in order to carry out business. Most of... Read More . Other options would be to use apps. Joel wrote a great review Have a Hard Time Tracking Debts With Friends? Use What Do I Owe You Have a Hard Time Tracking Debts With Friends? Use What Do I Owe You Like most people, I enjoy going out to places with my friends. Restaurants, movies, overnight trips, amusement parks, paintballing - you name it and I’ll go. Going out as a group is great but sometimes... Read More on a website called What Do I Owe You, but there are many others such as Splitwise, Venmo, SettleUp and OurGroceries. GroupMe, a group text messaging app has also recently added the feature to send money to your friends. Everyone has different workloads, schedules, classes, hobbies, friends and therefore it’s rare for everyone to be home at the same time. Even then, they could be busy and you don’t want to interrupt them. So even if you live with several roommates, getting in touch with everyone together can be difficult. If there’s one thing that gets people agitated, it’s the lack of a solid Internet connection – I consider myself lucky to have lived through such a fiasco. I’m the “computer guy” in our house, so whenever the Internet isn’t working, I hear about it. In one instance, I dealt with a manufacturer to get a replacement router – and I wasn’t even the one who purchased it! So I assure you, researching for a good router 4 Things to Know Before Buying a Wi-Fi Router for Your Home 4 Things to Know Before Buying a Wi-Fi Router for Your Home Wondering how to get Wi-Fi at home, what a Wi-Fi router is, or what kind of router you need? This introduction will answer your questions and more. Read More — and Internet service provider, for that matter — is an investment that will pay off. With a great router, you’ll be able to take advantage of its awesome features 7 Essential Wireless Router Features You Should Be Using 7 Essential Wireless Router Features You Should Be Using If you think a wireless router’s only job is to connect you to the world of the Internet, you’re missing out on a lot of its awesome goodness. Sure, maybe all you need is Internet... Read More , such as dual band connections How Dual-Band Routers Can Solve Your Wireless Woes How Dual-Band Routers Can Solve Your Wireless Woes Using a router that supports the dual-band standard can significantly boost your Wi-Fi speeds in many circumstances. Read More , DLNA media sharing or a public access point 4 Ways To Securely Configure A Wireless Router As A Public Access Point 4 Ways To Securely Configure A Wireless Router As A Public Access Point Read More . Certainly these technology tips won’t always make the seas calm when rooming with others – no one is perfect and we’re bound to have conflicts from time to time. The most important thing is to do your best to keep the peace, even when the sea is rough. But these five tips should definitely help – I know because these are what my five roommates and I use. Now that you have some inspiration, do you have any additional ideas that have either been sparked from this article or things that you’re already doing to make living with roommates much more enjoyable? Explore more about: Money Management, Spreadsheet. helpful :)Collaborate On A Rent/Expense Ledger, Food And Chores Chart. Is it 5 ways, or 7? ;) Intro says 7, but headline says 5 and the article has 5. Anyway, these are great tips. Having a Facebook group has been the most useful thing for me; everyone has Facebook, everyone checks it regularly enough, and it's an easy place to post any sort of updates or questions.